Obituary for Kenneth (Kenny) W. Tolodziecki | Kaczorowski Funeral Home, P.A. 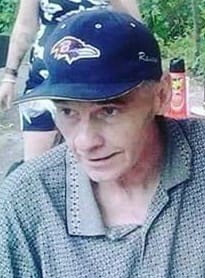 On Sunday, November 4, 2018, Kenny Tolodziecki, beloved father of Felicia Telewicz and her husband David, Kenny Tolodziecki, Jr., Michelle Maldonado and her husband Cisco, and Tyler Tolodziecki, grandfather of Todd Brunner, Kiersten Zepp, Megan Tolodziecki, Brittany Smith, Dominic Mitchell, Stephen Smith, Nevaeh Tolodziecki, and Selena Maldonado, brother of Frances, Kathy, Barbara, Steven, and the late Calvin, also survived by many nieces, nephews, cousins and other loving family and friends. Kenny was a loyal fan of the Ravens and the Orioles but his true passion in life was gardening. He would spend countless hours tending to his gardens and making sure his flowers and produce were taken care of just right. Kenny was a loving man and will be dearly missed by many. Visitation at Kaczorowski Funeral Home, P.A., on Wednesday from 3-7 P.M. Interment private.